The recent construction of megalithic monuments, in particular stone circles, within Britain can be traced back to the development of the modern Druidic movement. The antiquarian John Aubrey, who suggested in 1659 that the stone circles at Avebury and Stonehenge had been built by the Celts as druidic temples. The Irish author, J. J. Toland, held a meeting for druids at Primrose Hill, London in 1717 and established The Ancient Druid Order and later Iolo Morganwg (1747-1826) became the creator and father of the Gorsedd of the Bards of the Isle of Britain. This is a society of poets, writers, musicians, artists and individuals who have made a notable contribution to the nation, its language and culture. The first ever meeting of Gorsedd was held on midsummer’s day, 21 June, 1792, on Primrose Hill, London with a special stone circle constructed. The first-ever Gorsedd was held on midsummer’s day, June 21, 1792, on Primrose Hill, London. 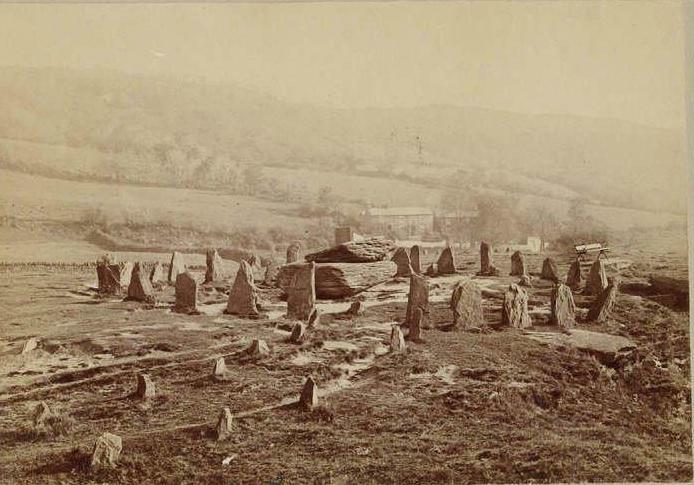 The Ancient Druidic Order and the Gorsedd eventually joined forces and this tradition of stone circle construction continued on and off until the present day, sometimes using natural stone formations, as below, but often erecting stone circles. In 1795, a gorsedd meeting took place at the Pontypridd Rocking Stone, near Eglwysilam in Glamorgan. This was a huge slab of natural slate stone (the Maen Chwyf) which became a meeting place. The circle was a later addition. 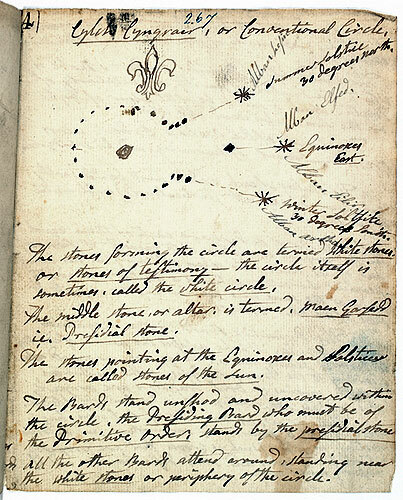 In 1899 a formal plan for future stone circles was produced. 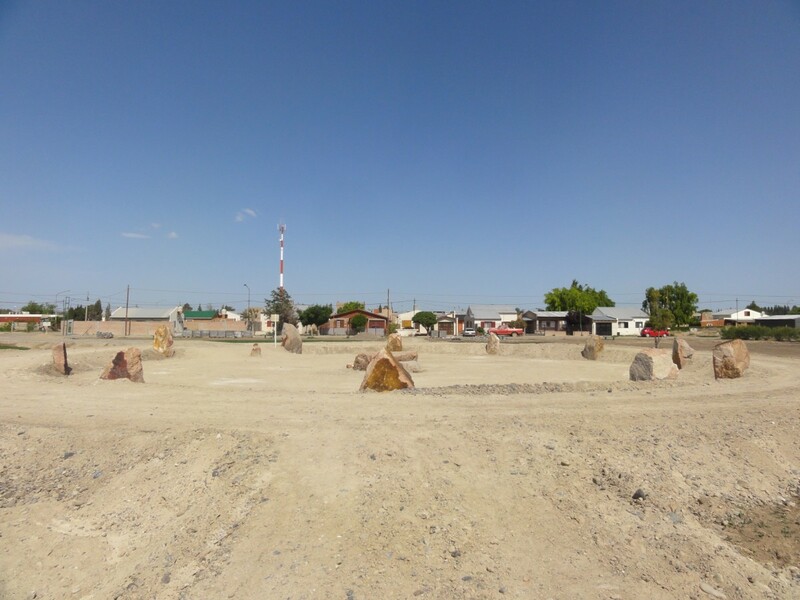 Until recently Goredd were constructed at each annual meeting (the Eisteddfod) with the result that there are numerous recent stone circles across Wales and further afield (as far as Hungary and Patagonia). Since 2004 however the stone circle has become a more portable stone circle made of fibreglass that is erected at each new venue to a proscribed plan. So Interesting ! Thanks for sharing. Do you know anything about The Rolwright Stones ? Not sure if I have spelt that correctly. always engaging immersive research & writing, please keep this site going!